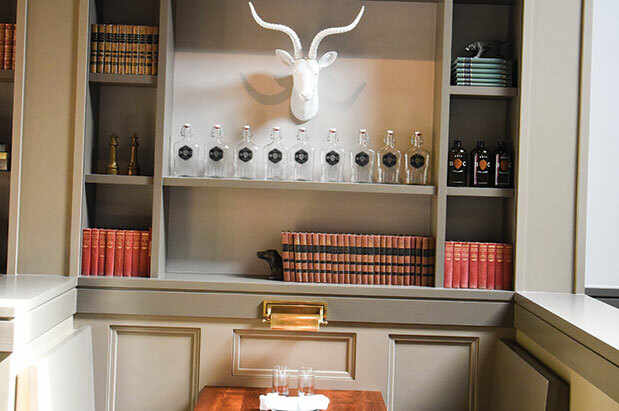 There are lots of reasons to like Bramling Cross, Ethan Stowell’s new 50-seat gastropub located within a few blocks of sister restaurants Ballard Pizza Company, Staple & Fancy and Marine Hardware (formerly Chippy’s). Let’s start with the interior: Imagine white faux taxidermy and vintage encyclopedias sharing shelf space above booths lit by library lanterns. Then, there’s the reservation policy. If you have a young child, as I do, it is a huge deal that you can A.) take them to a gastropub and B.) not have to wait around. There’s also an awesome American-cheese-cloaked burger and a fried chicken meal deal. More on that later. Priorities: If you are a beer lover, the restaurant, which is named after a hop varietal, will be your favorite Stowell outpost to date, because the focus is on wood-fired, shareable dishes that pair with eight micro-local brews (made in Ballard or Fremont) and another 50 international beers. One of those dishes is chef Travis Post’s (formerly of Staple & Fancy) ridiculously moist pork osso buco ($27) with Dijon spaetzle. The shank is slathered in herbs and spices, and then simmered in pork and duck fat until it slips off the bone. Another killer dish: caramelized cauliflower ($11) dressed in tangy yogurt, sweet golden raisins and dukkah, a nutty, cumin-laced spice blend. Finally, that Dynamite Chicken ($38), which is enough to feed three adults.